The graph illustrates the ielts results of candidates from some language groups during 2003. As can be seen from the graph, all numbers ranged from 6 to 7 and Hindi came out the first while Russian was at the bottom of overall score. In terms of average figure, the students of Hindi achieved the best result, presenting 6.73, corresponding to 6.38 of Russian candidates who gained the lowest score. Of all the data, Hindi group ranked first at the Listening skill reaching 6.78 whilst Spanish showed the minimum score at the Writing field with only 6.08. In each band, Hindi was also the group that had the highest number of four bands except for Reading skill as Spanish group did better than Hindi one in this field, experiencing 6.42. In conclusion, the scores of students varied so much between 6 and 7 points. For the average results, Hindi and Spanish language were at the first and the last position in the ranking list respectively. The graph illustrates the IELTS results of candidates from four language groups during 2003. As can be seen from the graph, all numbers ranged from 6 to 7 and Hindi came out the first, while Russian was at the bottom of the overall scores. In terms of the average scores, the students of Hindi achieved the best result, at 6.73, which was in contrast to Russian candidates who gained the lowest score of 6.38. Of all the data, Hindi group ranked first at Listening skills, reaching 6.78, whilst Spanish showed the minimum score at the Writing field with only 6.08. In each band, Hindi was also the group that had the highest number in all the four bands, except for Reading skills as the Spanish group did better than Hindi one in this field, achieving 6.42. In conclusion, the scores of all students varied moderately between 6 and 7 points. For the average results, Hindi and Russian language were at the first and the last position in the ranking list respectively. Overall, it was a good answer as you picked out the key information and didn’t go into too much detail. You also introduced the graph well (paraphrasing the prompt – not copying it) and you correctly gave an overview after this with the key points. If you are providing an overview at the beginning you don’t have to also have a conclusion. The danger of having both is that you repeat yourself as you have done – you mention all the scores being between 6 and 7 in the introduction and conclusion. It is better not to repeat like this. Rather than having that conclusion you will have been better to have given some more details about the scores, maybe mentioning that the Malayalam and Spanish score were quite similar. There is a point that I don't understand clearly. That's about the conclusion. I generally think that the last part in the answer is to summarize the information and paraphase the introduction paragraph. Therefore when I read your comment, I was suprised. Can you give me explanation about general idea for conclusion? You can have a conclusion if you want, you won't lose marks for it, and yes you could paraphrase the introduction (this is better than having too few words which you would have done if you did not do this). But what I meant was there is nothing in the marking that says you need this - you can download the public band descriptors on the internet and look. If you look at these descriptors you'll see that what you must have is an 'overview' (which is what you did in your second sentence in your introduction), which points out the overall trend of the graph. Some people put this sentence in the introduction, some put it in as a conclusion (you put it in both places). But one is ok.
With normal graphs I think there will be more information to discuss than the one that you looked at, so you will need your time to write about the details rather than having an 'overview' twice. Look at the sample Task 1 answers on this site (under the writing tab), you'll see they all have an overview in the introduction but no conclusion. It is fine to do this. I advise my students to put it in the introduction in case because if they wait till the conclusion they may run out of time and miss it. Hope that clears things up but let me know if you have any other questions. The graph illustrates the IELTS results of candidates from four languages groups during 2003. At first glance, it is clear that the students from Hindi reached to more higher average. In details, it is can be seen that the students of Hindi achieved the best results, at 6,73, Malayand and Spanish showed similar averages, around at 6,42. Meanwhile, Russian candidates accounted the lowest scores at 6,38. Hindi, was also the group that highest average reached in listening, writing and speaking, with 6,78, 6,62 and 6,86, respectively. Whilst, Spanish group reached to the best average in reading at 6,42, overcoming Hindi in this band. In conclusion, the scores of all students varied moderately between 6 and 7. But Hindi and Russian showed the first and the last position overall, respectively. 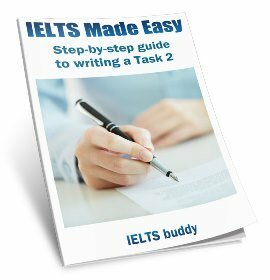 This is a great site for IELTS preparation. 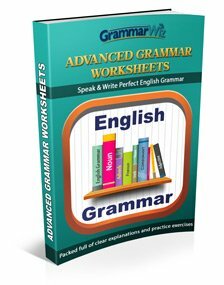 Try the following blog in case you need some more sample materials - examwriting.blogspot.com. 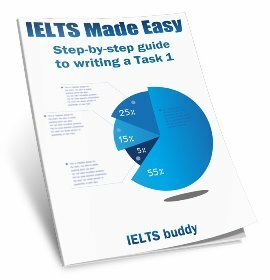 today l I have written my IELTS test... And I wrote my Task 2 first and it took to around 45 mins to complete... And then started Task 1 and I only got 15mins. You don't necessarily have to have a conclusion, but you need to have an overview (which can be in the introduction). Did you do an overview in the introduction (or have topic sentences) stating the main point/s of the graph? If will affect your score for Task Response if you don't have that. please help!! Comment if you may. Thank you. The chart represents the typical band scores of students using Hindi, Malayalam, Russian and Spanish as their primary language who took the IELTS Academic paper in 2003. Overall, students with Hindi as their native tongue received the highest overall band score in contrast to Russian, which had the lowest. 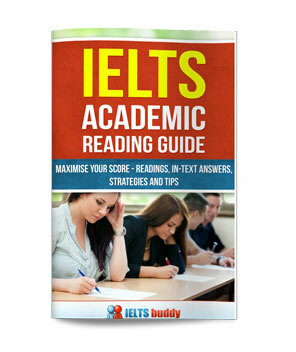 Hindi students received the best overall score of 6.73 in the Academic IELTS test. Whereas the other 3 languages got scores that were not far different from each other. However, Russia got the least score of 6.38. In terms of the scores in each category, all the language groups had speaking as the highest in band score. Hindi students received 6.86, Russian 6.69, Spanish and Malayalam had 6.64 and 6.52, consecutively. On the other hand, the categories that had the lowest scores are reading and writing. For Hindi and Malayalam, reading were the weakest with 6.38 and 6.13, respectively. Whereas, writing was the weak point of Russian (6.11) and Spanish (6.80).